Mercedes-Benz Vito PDF Workshop and Repair manuals, Wiring Diagrams, Parts Catalogue, Fault codes free download! This service manual includes general information about cars Mercedes Vito 108 CDI (MQ3), 110 CDI (MQ4), 112 CDI (MQ5), equipped with diesel engines OM611.980 – 60 kW (82 hp) ; OM611.980 – 80 kW (109 hp); OM611.980 – 95 kW (130 hp). 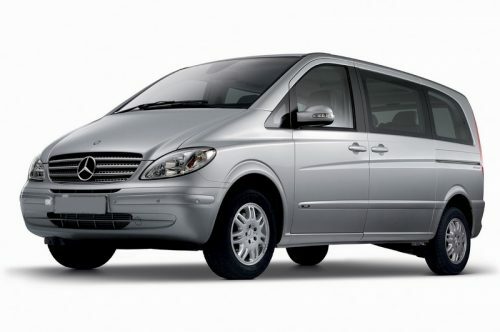 This service manual includes general information about the device and design features of various modifications of the car Mercedes-Benz Vito CDI, maintenance advice, a description of all engine systems and assemblies, a manual transmission with power transmission, power steering, ABS brakes and a roadside stability system. In expanded form, data on the functioning of power supply systems and engine management with a common rail pressure accumulator fuel manifold are presented. Such information can be very rational in use by motorists, in case of necessity of repair procedures. Mercedes-Benz W638 or Mercedes-Benz Vito – the first generation of commercial minivans / minivans of the Mercedes-Benz Vito series of the German carmaker Daimler AG. It replaced the vehicles of the Mercedes-Benz MB100 series. The car was launched in series production in 1995. Production was established at a plant in the city of Vitoria-Gasteiz, Spain. In 1999, in the line of minivans, there were some changes in the design of the exterior and interior, and in the engine lineup. In particular, the radiator grille and side skirts, rails, and also bumpers and door handles, which were painted in the body color, were modified. The package of equipment available for installation to order has increased. In addition to the factory version, various companies presented their own designs based on the W638. In 2003, production was completed and the series was replaced by the second generation in the Mercedes-Benz W639 series, which retained the name Vito, while the lighter V-class was renamed Viano. The development of the concept and design of the future minivan began back in the 1990s. The project manager was Michael Mauer, who oversaw the processes from 1989 to 1991. The final design was chosen by the company’s management and patented in February 1993.